Linda Coney has always considered herself a pianist and has taught piano for the past 40 years. 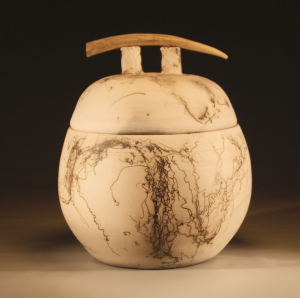 However, she discovered pottery as the result of an innate desire to challenge herself and learn another art form. Ceramics and piano have several things in common; both art forms require repetitive practice to attain mastery, and there are always new things to learn. Because clay must be mixed, wedged, and centered before it can even be thrown, pottery can be a long and arduous process. Like learning scales, throwing cylinders on the wheel is frustrating in the beginning, but the skill leads to unlimited possibilities. Music is an art form that happens in time. During a performance, there is no going back and correcting, whereas clay is much more forgiving. In fact, some of the most wonderful creations are the result of mistakes. 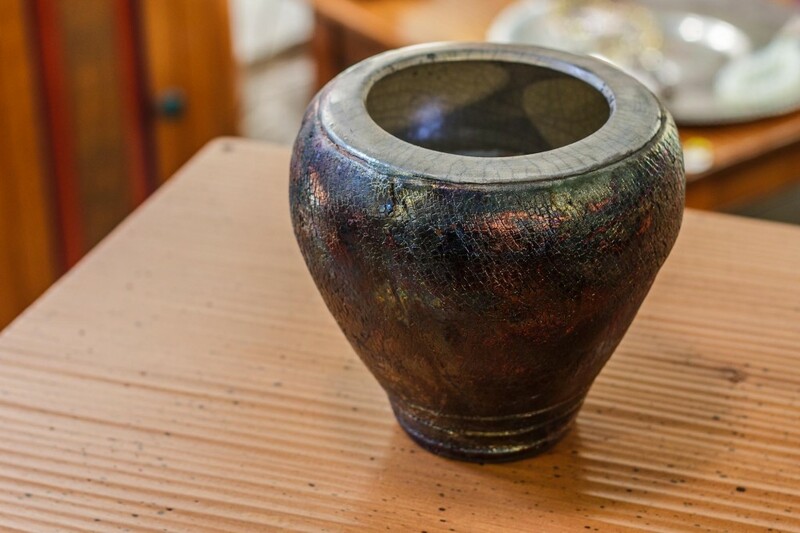 My pieces show examples of different styles of pottery I have learned and practiced during the past three years, including raku, horsehair pots, stoneware, thrown and altered pots, and handbuilt pieces.